Surf camps are probably the most versatile accommodation solution available for a surf trip. You’ll find them all over the world, with various standards of accommodation for different budgets, with different levels of surf tuition or guiding for beginners right through to expert surfers, and with social vibes ranging from mellow and chilled out to full on ‘party like it’s 1989.’ But just how do you choose the best surf camp for you? Unless you’re looking for super high end luxury or romantic seclusion, there’s a good chance that there’s a surf camp out there that would be ideal for that next surf travel dream ticking away in the back of your head. They’re great for solo travellers due to the social aspect; beginners and intermediates love them for the included tuition and equipment rental; experienced surfers can benefit from surf guiding when exploring a new area; groups get a ready made party atmosphere; those on a budget will struggle to find anything more wallet friendly. The problem is that there are so many surf camps popping up all around the world that trying to work out which best suits your needs can be an absolute headache. Just how do you decide? What factors should you consider? It may seem like common sense, but first you need to narrow down where you really want to go, or if your dates are fixed, where is in season and is likely to have good waves. 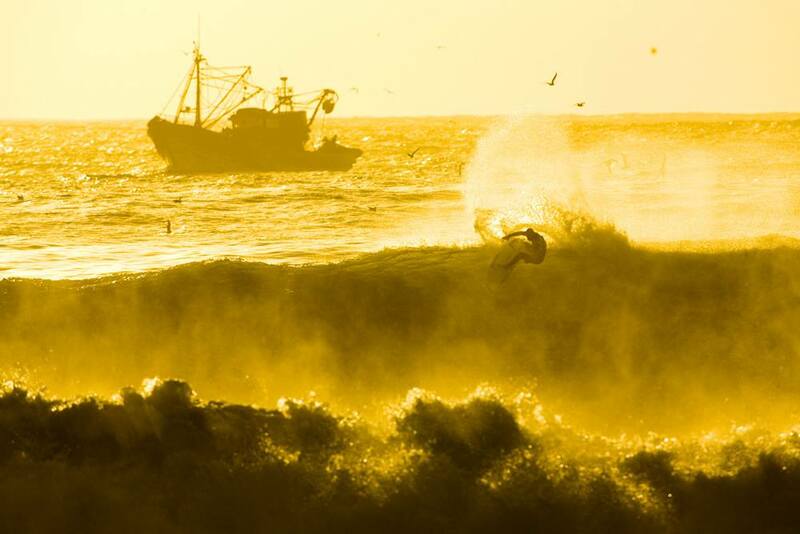 You need to consider your ability level at this stage too – while you may have visions of pulling into throaty barrels after a couple of days in the water, the reality is that learning to surf can be a long and slow process! Destinations like Sri Lanka, France, Portugal, Bali and some areas of Central America are a good choice for new surfers, with friendly waves ideal for learning on with heavier spots to step up to as you progress. Other factors to consider when choosing where to go are how far do you want to travel (do you have enough time off for a long haul destination? ), how ‘exotic’ you want to go (Asia can be a huge culture shock, at least away from the main tourist traps), and what your budget is (flights to places like Sri Lanka can be very expensive, but it’s very cheap once there!). What sort of accommodation do you want to stay in? While the name does include camp, many surf camps – in fact most surf camps – don’t actually involve any camping! Options typically include dorm rooms (you can fill one with just your own crew if you bring enough people, otherwise you’ll be sharing with other travelling surfers), and shared double rooms. There’s normally also an option to take your own single room, if privacy and the chance to retreat (if the fun and socialising gets too much) are important to you and are in line with your budget. 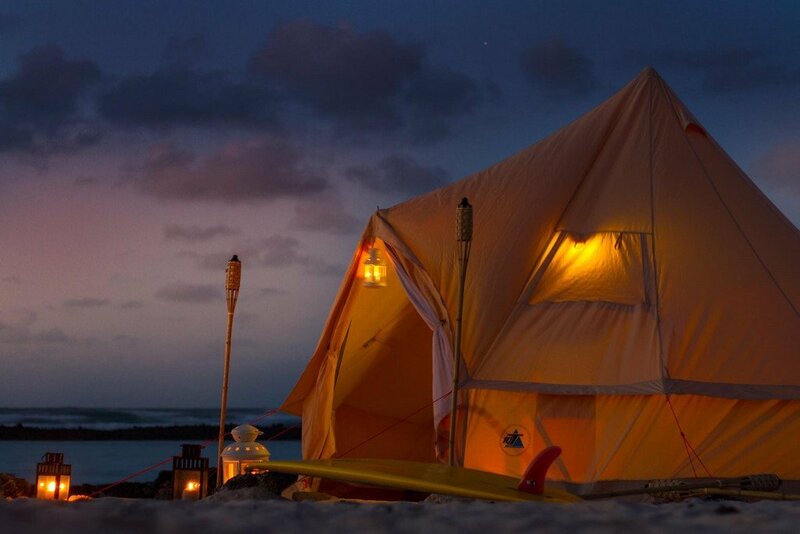 However, there are also a couple of true tent-based surf camps – including some fancy ‘glamping’ options – in Europe and Costa Rica. While surf camps generally tend toward fairly basic and budget-friendly accommodation standards, there are a number of higher end choices available in most destinations too – but don’t go expecting gourmet fine dining and über-luxury resorts. Consider what amenities are really important to you: fast and reliable wifi, swimming pool, excursions and non-surf activities, food (what’s included? what restaurants are nearby? ), air conditions? This is where you can really start to narrow down your options in your chosen destination. Do you need surf lessons or guiding? Most surf camps offer lessons or guiding, whether included in the price or as an optional extra package. If you’re a total beginner you should definitely take lessons regardless, but if you’re more advanced it may be better and more economical to book just a couple of hours refresher course, or a day or two with a guide to find out more about the local breaks. Most surf camps tend to run group lessons, which are great fun without the pressure of intensive one-on-one coaching. They’re a great way to start your surf career, but if you’re struggling or want to work on particular skill sets you may want to choose a camp that offers more focussed individual coaching too. Depending on what your ability or needs it can also be worth looking out for camps specialising in particular ability level coaching (dedicated beginner, intermediate or advanced lessons), age groups, or girls-only courses. Equally, you should research what qualifications and experience the instructors have – just because someone’s a great surfer doesn’t mean they can teach surfing! 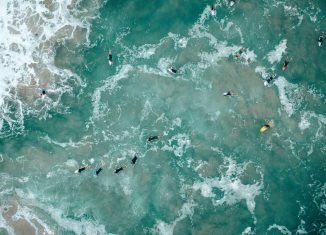 Likewise, surfing can be a risky undertaking and safety should be a high priority: are the instructors trained in CPR and lifesaving techniques? Do you have your own equipment or need to borrow it? Generally surf camps have a wide range of equipment available to rent or borrow, ranging from boards to wetsuits. This is great news for beginners who don’t need to shell out for expensive gear before they’ve even tried surfing. Even if you have a full quiver of boards at home, flying with them can be expensive and risky (airlines aren’t generally particularly surf board friendly), so it’s still worth considering borrowing a board. Definitely do check before hand what’s on offer though, as you don’t want to be stuck with a huge soft top barge if your standard whip is a 5’6 Hypto Krypto! What’s the vibe like? The clientele? Surf camps come in all shapes, sizes and ambiences – it’s imperative that you choose one that matches the vibe you’re looking for from your trip! Do you want to party all night, or do you need to escape from the rat race and relax somewhere for a week or two? Would you prefer a very social big group vibe, or rather spend some quality time with your significant other or close mates? Are you looking for mod cons and sophisticated surroundings, or do you want to get back to nature in a more remote and rustic locale? It’s also worth bearing in mind what sort of people the surf camp you’re looking at caters for: what age range, what nationality, etc. What languages are lessons available in? Are the staff and instructors bi-lingual? Multicultural surf camps can be a great way to meet people from other countries and learn new languages, but there’s no point paying for surf tuition if everything is lost in translation! Some of these aspects of camp life are pretty abstract and hard to figure out before you actually arrive, but checking out social feeds like Instagram and Facebook can often give you a good idea. Otherwise, just speak to a surf travel agent for more objective advice! Situated in the beautiful town of Moliets, Star Surf Camps offer the perfect mixture of surfing and nightlife for those thrill seekers and party animals. Pitched in the centre of a lush pine forest and minutes from the white sandy beaches, the camp has loads to offer to ensure you have an unforgettable stay. The surfing lessons take place at nearby Moilets- Plage, and Star Surf really do focus on the quality of tuition: each instructor is individually vetted and chosen by the founders, based on their experience, qualifications and stoke. Despite the fact that they employ only properly licensed and qualified surf instructors (ISA, ASI, SGB, FCS) and professional lifeguards (SLSGB), there are no egos or ‘bro-brah’ attitudes. 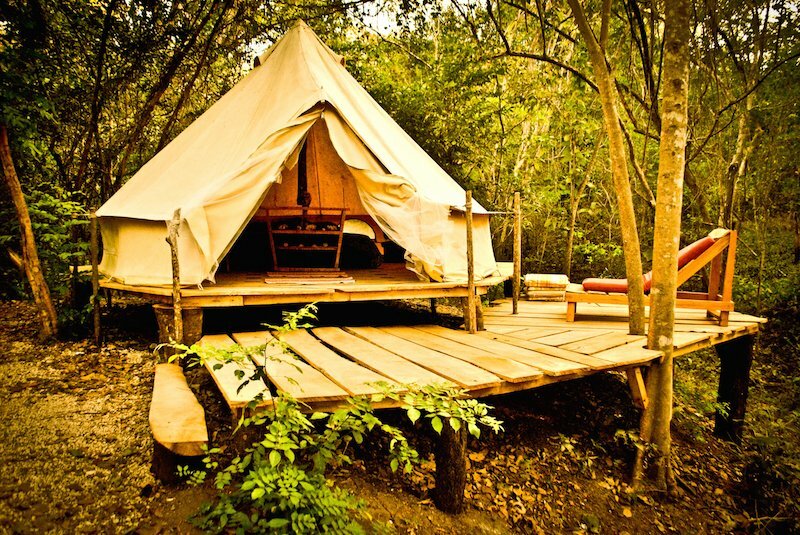 The camp is made up of luxurious glamping tents, recently upgraded with memory foam mattresses and other details. Besides surfing, you can chill out in the the outdoor cinema, relax in one of the many hammocks and chill areas, or for the more active play table tennis or go skate/longboarding. Solid Surf Morocco is a pretty unusual surf camp, based in Tamraght – right in the heart of the Moroccan surf scene with a chilled out and mellow atmosphere. It brings a whole new vibe to the surf camp experience, with high standard villa accommodation, a large private pool, plus spacious private and shared rooms with tadelact bathrooms (an original Moroccan design feature). It also features multiple lounge areas, pool tables, cinema area, flatscreen TVs, free wifi, and terrace heaters if the nights get too chilly. The surf conditions are consistent year round with plenty of waves for all levels, but the biggest swells and most powerful waves are definitely during the winter – October onwards is prime barrel-hunting season. Solid Surf’s ‘One Package Fits All’ does exactly what is says on the tin, covering all bases from airport pick up and drop off, surf safari, guiding, free board rental, instruction, video analysis, breakfast and lunch and 24/7 staff assistance. Just a stones throw away from some fantastic surf spots, the classy ‘The Surfer’ camp in Weligama is ideally placed on Sri Lanka’s southern coast in one of the most consistent and wave rich areas of the whole island. The camp has 8 rooms available for singles, couples and groups, all with private balcony, bathroom and free wifi. It’s an idyllic beach front location, and a great place to relax with a cold beer after a long day in the water! The range of packages on offer can be tailored to suit your needs, regarding both budget and surfing ability. Lesson group sizes are limited to three people, so you can be sure that you’ll receive plenty of attention and support! Advanced surfers have 10 waves within a 10 minute radius to choose from, and if that’s not enough, then the staff are more than happy to show you some other spots in the neighbourhood. Tiny Whale Surf Lodge is located in Portugal’s Algarve region, renowned for its year round sunshine and some of the most consistent surf in Europe. Set in the countryside surounding Lagos, the camp offers an ideal combination of relaxing in nature and lively nightlife (in Lagos, just 5 minutes away). The lodge itself is a converted farm house, with a variety of room options including beautiful ensuite rooms, single rooms and spacious and high quality shared rooms. The atmosphere is friendly and welcoming: the fantastic in house bar serves cold beers, local wine and homemade smoothies to enjoy around the fire pit, while the chef serves up delicious dinners (plus a BBQ every Friday night). They run a range of dedicated ability level surf courses throughout the year, with great coaching available from the pros whether you’ve never stood on a board before or want to perfect your backhand barrel riding. Daily yoga classes in the beautiful Yoga Garden Studio to stretch out sore surf muscles! Beng Bengs Surf Camp is located on Nyang Nyang Island, 135km southwest of the Sumatran mainland in the southern Siberut region of the Mentawais Islands. This wave-rich region really is a surf playground – the camp is just 100m from the legendary left Ebay and a two minute boat ride from another fabled left, Beng Beng. A host of other waves are also in the vicinity, including Pitstops, Rifles, and Kanduis. When a solid S/SW swell rolls across the kaleidoscopic coral reefs, there aren’t many surfers who would want to be anywhere else: the waves are an exercise in perfection – spitting barrels run into long smackable walls, the turquoise water and white spray of the sea set against the intense green background of the rainforest. Though anyone can enjoy the lush tropical island paradise, the waves in the Ments are definitely suited to more advanced surfers, and as such Beng Beng offer surf transfers and guiding rather than normal lessons. The camp caters for a maximum of ten people, in a traditional Mentawaian house built by local craftsmen. Of the four bedrooms, two have double beds while two are equipped with bunk beds; it is possible to accommodate singles, couples and groups. Dreamsea’s surf camp is based in Tamarindo Bay in Costa Rica’s Guanacaste region, and trust us: you haven’t seen tents like these before! We’re talking full scale glamping here – all the feeling of connection with nature you get when sleeping under canvas, but with a generous serving of luxury and creature comforts to go with it. Dreamsea include options for surf lessons suitable for beginners or surf guiding for more advanced surfers, with both private and group sessions available. 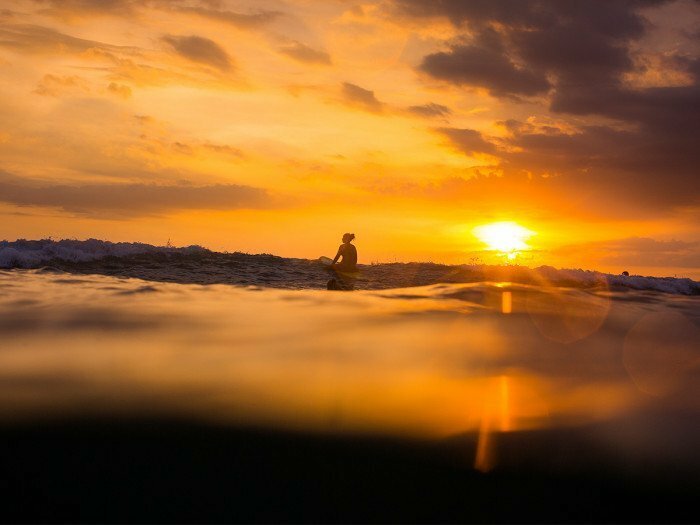 The surf in this Pacific coast is incredible: warm, clear water, with several surf sports in Tamarindo itself, including beginner-friendly beach breaks, the fast lefts and rights of El Estero’s river-mouth peaks, and a range of reefs. There’s also an array of other activities on offer, including skateboarding, volleyball, and even night time turtle-spotting tours! Lapoint’s Bali surf camp is in the hip region of Canggu, between the peace of the serene rice fields and happening night life spots like Deus ex Machina’s legendary Temple of Enthusiasm. The multi-mood left hander at Echo Beach – mellow at high tide but a little more critical when the tide drops – is just around the corner, as are more beginner friendly and playful spots like Berawa and Old Man’s. Accommodation is in private bungalows or shared dorm room – the latter being a great option for solo travellers with the chance to instantly tap into a buzzing social scene. When you’re not out in the warm ocean catching waves you can relax in your garden lounge, take a dip in your pool for an instant cool down if it gets too hot for comfort. 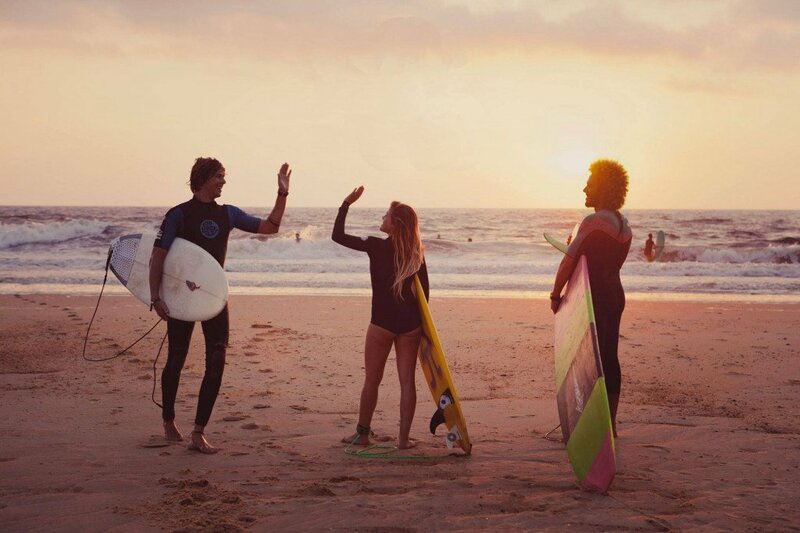 Lapoint offer three different surf tuition packages for beginners and intermediates, with airport transfers, half-board meals and surf guiding also on offer.